Your core strength is going to improve with exercise, but dieting is an intricate part of the weight loss process too. Choosing the right allies in your fight against belly fat will help you out tremendously along the way, this is because dieting counts for a large portion of your weight loss success. Exercise alone will only take you so far without eating the right foods. This is where foods that help to burn fat gives you the extra push and gets you to your ideal weight; which will also help in flattening your tummy and help to build your core strength. Losing weight will definitely help your self image. Anyone that has gained a few extra pounds over the years would certainly feel better it they were able to lose some of that weight they’ve gained, it make sense. You will feel so much healthier you can’t help but to feel better about yourself. 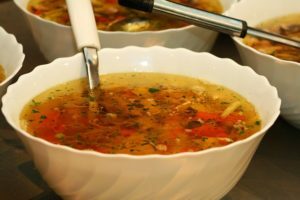 This blog will cover some of the foods that will make your battle to lose weight easier while getting a flat tummy. These foods will make losing belly fat a whole lot easier. Think about it, it would not make sense for someone to be exercising to slim down and tone up yet they are eating all the wrong foods; foods such as: pizza, donuts, french fries, big mac and soda on a regular basis. It would defeat the purpose of getting in shape and trimming down. I’m not saying you have to cut those kinds of foods out 100% completely, but you certainly should not be partaking in such eating habits on the regular. Here are some of the best foods to help you with weight loss and they have other benefits. They are sweet and they smell so good when cut up. 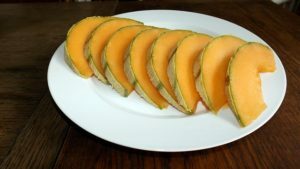 Eating cantaloupes will save you a lot of calories and they make a great snack to take on the go in a container. High in fiber to get your digestive system working at it’s best. There is nothing like fresh cantaloupes on a warm summer day, the smell, the taste is hard to resist. Or you can mix it with other fruits, and make a fruit cocktail mixed with low fat yogurt. 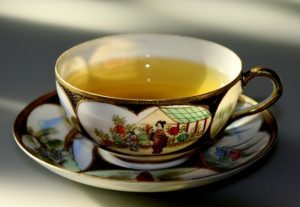 Most experts would agree that green tea is full of weight loss benefits and is definitely a super food. It is loaded with antioxidants that will detoxify your entire body. It certainly sits atop of the superfoods alongside a few other foods. It will purge your body of contaminants and clean you out. You can grow your own or buy them in the store. Just boil some water and add some of the leaves or a teabag stir and drink. Good for winding down before going to bed at nights. A really good source of protein yet low in bad fat such as saturated fat. 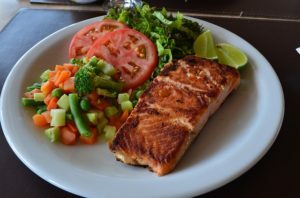 One of it’s best benefit is omega-3 which is apart of the good fat needed for a healthy heart and other important benefits. This is a good food to have in your diet because it will allow you to stay learn even when you consume a lot of it. It’s have a lot of protein. 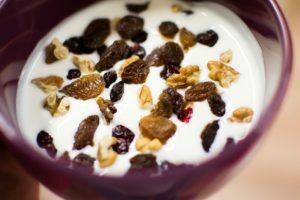 Yogurt is fairly low in fat and is high in nutrients such as vitamin D, protein, calcium. It makes for a good snack and the protein will make you feel full longer. You can cook with it, and it’s lighter in calories than sour cream and is a dairy product. Yogurt goes nicely with fruits, or you can sprinkle chopped nuts all over your yogurt. These are other terrific sources of protein. High in protein to give you that feeling of fullness that lasts a long time yet super low in fat and calories. 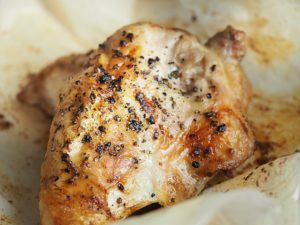 Replace whole chicken with skinless chicken or turkey breast. Eating like that regularly will contribute to you becoming lean and limit your caloric intake significantly.